[Area: The Tidal Island] - Bestel has asked you to find his Manuscript, which he left behind in the wreck of his ship on the Tidal Island. [Area: Lioneye's Watch] - You have found Bestel's Manuscript. Bring it back to him in Lioneye's Watch. [Area: Lioneye's Watch] - You have returned Bestel's Manuscript to him. Talk to him for a reward. [Quest Complete] - You have returned Bestel's Manuscript to him. He has rewarded you. [Area: The Twilight Strand] - Lilly has asked you to clear the Twilight Strand of the undead. [Area: Lioneye's Watch] - You have cleared the Twilight Strand. Talk to Lilly for a reward. [Quest Complete] - You have cleared the Twilight Strand. Lilly has rewarded you with a Book of Skill. Use it to gain two Passive Respec Points. [Quest Complete] - You have cleared the Twilight Strand. Lilly has rewarded you with two Passive Respec Points. [Area: Prisoner's Gate] - Bestel has asked you to defeat Abberath, the Cloven God, at Prisoner's Gate. [Area: Lioneye's Watch] - You have defeated Abberath. Talk to Bestel for a reward. [Quest Complete] - You have defeated Abberath. Bestel has rewarded you with a Book of Skill. Use it to gain %1%. [Quest Complete] - You have defeated Abberath. Bestel has rewarded you with %1%. [Area: The Mud Flats] - Tarkleigh knows another way to reach the Prison. Access the Karui Fortress to find a way. [Area: The Mud Flats] - Tarkleigh knows another way to reach the Prison. Find the missing eye to access the Karui Fortress. [Area: The Mud Flats] - Tarkleigh knows another way to reach the Prison. Use the missing eye to access the Karui Fortress. 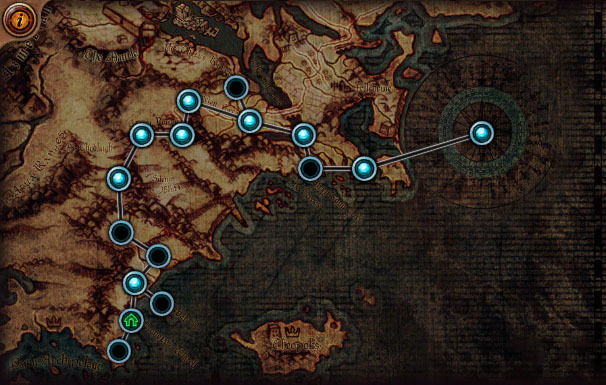 [Area: The Karui Fortress] - Tarkleigh knows another way to reach the Prison via the Karui Fortress. Search the area to find the exit. [Area: The Karui Fortress] - Tarkleigh knows another way to reach the Prison via the Karui Fortress. Search the area to find a way to unlock the exit. [Area: The Karui Fortress] - Tarkleigh knows another way to reach the Prison via the Karui Fortress, but you must first defeat Tukohama, Father of War, to unlock the exit. [Area: Lioneye's Watch] - You have defeated Tukohama and found the Karui Fortress's exit. Talk to Tarkleigh for your reward. [Quest Complete] - You have defeated Tukohama and found the Karui Fortress's exit. Tarkleigh has rewarded you with a Book of Skill. Use it to gain %1%. [Quest Complete] - You have defeated Tukohama and found the Karui Fortress's exit. Tarkleigh has rewarded you with %1%. [Area: The Wetlands] - Tarkleigh has asked you to defeat the Puppet Mistress. [Area: Lioneye's Watch] - You have defeated the Puppet Mistress. Talk to Tarkleigh for a reward. [Quest Complete] - You have defeated the Puppet Mistress. Tarkleigh has rewarded you with a Book of Skill. Use it to gain %1%. [Area: Lioneye's Watch] - Talk to Sin in town to find out what to do. [Area: The Prison] - Sin wants you to find the spirit of Shavronne of Umbra in her tower in the Prison and kill her. 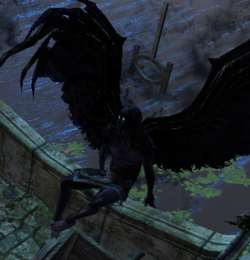 [Area: The Prison] - Sin wants you to find the spirit of Shavronne of Umbra in her tower in the Prison and kill her, but the way is currently blocked. Find a way to reach the Prison. [Area: The Prison] - You have found Shavronne of Umbra in the Prison. Kill her so that Sin can harvest her soul. [Area: Lioneye's Watch] - You have killed Shavronne and Sin has harvested her soul. Talk to Tarkleigh for your reward. [Quest Complete] - You have killed Shavronne and Sin has harvested her soul. Talk to Tarkleigh for your reward. [Quest Complete] - You have killed Shavronne and Sin has harvested her soul. Tarkleigh has rewarded you. 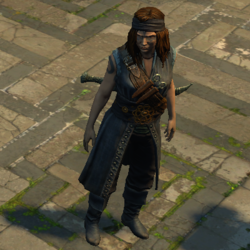 Lilly Roth is an NPC first met at the end of Act 5 at the Cathedral Rooftop after the character is revived by Sin following being defeated by Kitava. She then offered us a lift to Lioneye's Watch in Act 6, beginning our Part two. She is the granddaughter of Weylam Roth. She also appeared at the end of Act 9 in the Rotting Core with Weylam Roth after the player defeats the Depraved Trinity, taking the player to Oriath Docks. 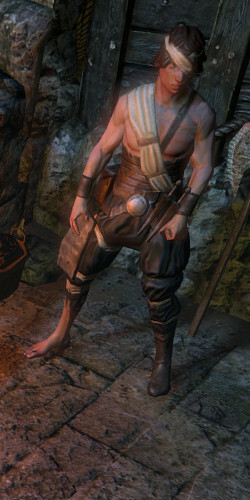 Tarkleigh is an NPC that lives in Lioneye's Watch. 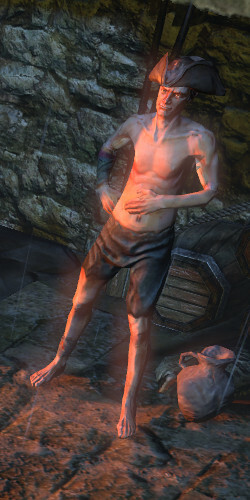 Bestel is an NPC that can be found in Lioneye's Watch in Act 1. Sin is an NPC, who first appears in the Chamber of Innocence in Act 5 after High Templar Avarius has been defeated. Sin plays a major role in part two and can be found in every part two town. Sin also introduces the Pantheon to the players. Pantheon souls can be brought to him to upgrade a Pantheon power via Divine Vessel. Normally, they are not worth the trouble for causes which are adequate in the lengthy run. Whilst they're valuable for players who might know practically nothing about the game. For by far the most element, they may be finding out tools for newcomers to ease them into the game. For extra Path of exile 3.3 Builds, you are able to stop by U4GM.com. Just a reminder: you can get 5% coupon code at no cost from the reps if you Purchase Poe Currency order from this short article.